Road trips are exciting American pastimes, and for good reason. With great company by your side, you get to see the country in all its glory through the simple act of driving a vehicle. However, each and every road trip deserves its own checklist of essentials. 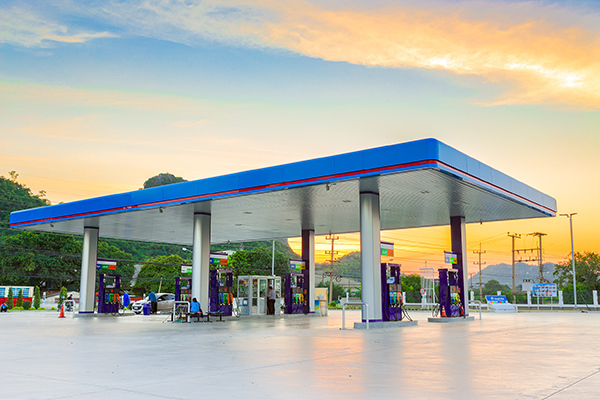 Prior to embarking on the first official leg of your trip, the expert team at MyDriverLicenses.org suggests a gas station pit stop to scoop up those last necessities. Not sure what to grab? Here’s a list of a few things we feel will help enhance your trip. First, take the time to select a few of your favorite beverages. There’s no worse feeling than being parched on a long highway stretch, so be sure to grab water – first and foremost – and anything else to quench your thirst. Consider sports drinks, sodas, juices, iced teas and more. Of course, the team at MyDriverLicenses.org thinks you can never have too much water, so buy a few extra bottles or consider a jug in case of emergency. Whether it is white cheddar popcorn or mini powdered donuts you fancy, the snack aisles are stocked at every gas station. Pick your poison, but be sure to grab a few protein-packed treats to keep your energy stores high, like beef jerky, peanut butter crackers, snack cheese, energy bars and nuts or trail mix. If you have a cooler on board, the gas station is a great place to a grab 5-pound bag of ice to keep your items nice and chilled. The team at MyDriverLicenses.org encourages you to check your ice levels every few hours on the road, especially during summer months, when the warm sun can creep into your car windows at all angles. When you plan on rotating drivers, game books for solo use or for the group can come in handy. If you like word puzzles or Sudoku, game books can keep your mind nice and exercised when you are trying to stay alert next to your fellow driver manning the vehicle. In addition, fun games like Mad Libs come in book form, so be sure to snag a word association prompt in which every rider can take part. A long road trip means endless hours driving in the sunshine, and UV rays can wreak havoc on your eyes without proper protection. If you don’t have a pair of shades handy, grab some cool sunglasses at the gas station – or ones that are fun for the trip that you might not be caught dead wearing ever again. Complement those shades with a whimsical trucker hat, and you’ll be set and stylish for your adventure. Sometimes, road trips can get boring, and your body can become extremely antsy. The team at MyDriverLicenses.org recommends stocking up on gum and chewing candies to keep your jaw engaged while driving or just to keep a part of your body in motion. Try not to expend too much energy on chewing, as you don’t want to wind up with a sore jaw! If you are running low on wiper fluid, or you feel you might run out at some point on your journey, grab a cheap jug of fluid to toss in your trunk. You never know when you will need to clean your windshield on the road, especially if you hit some extreme weather conditions. Just for the fun of it, the MyDriverLicenses.org team suggests buying a lottery ticket for your road trip crew. You can make a fun tradition of stopping for a ticket in every state you enter or exit throughout your time on the road. What could possibly be more fun than commemorating a cross-country excursion with a potential winning moment together?